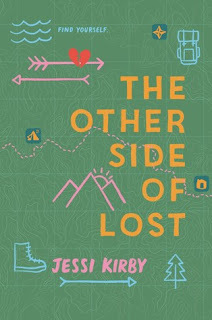 This is my new favorite Jessi Kirby book! Mari Turner is an internet star and her life seemingly perfect if one was to believe her every Instagram photo and YouTube video, which her thousands of followers do. But we learn right away the superficiality of it all and that before social media took over, she was just a girl dreaming up future adventures with her her best friend and late cousin, Bri. But on her 18th birthday, this online persona she created has become too much and she decides impulsively to fulfill her cousin’s wishes by hiking the John Muir trail. She’s scared and so I’ll-prepared with only Bri’s journal to guide her bit she’s determined to take this time to take a good, hard look at herself. And she meets a great group of people along the way. There were so many things to love in this book: the commentary on social media, cousins who are best friends (I don’t see this enough in books! ), the balance between capturing moments and just experiencing it, self-esteem, and most of all, growing up. It’s a beautifully written story that made me emotional many times throughout Mari’s journey. Is there a natural sight or wonder that you want to see in person one day? • Arizona or Machu Picchu. 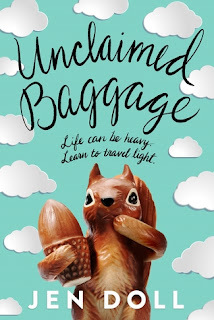 Unclaimed Baggage is told from the perspective of three teenagers: Doris, an outspoken loner who isn’t afraid to be herself but struggles with her small town’s double standards; Nell, who’s new to town because her mother decided to uproot their entire family from the happy life they had in Chicago; and Grant, the popular quarterback who’s drinking problem forces him to re-evaluate his choices. And what do these three very different individuals have in common? They have a summer job at Unclaimed Baggage, which I found out is a real store! (Very cool tidbit.) It’s a place where airports can send unclaimed luggage, which can then be sold. Doris is a long-time employee and loves it there while the other two are “volun-told” to work there by their parents. But soon the three of them become friends and that was the part I liked. I’m a sucker for people finding their people but that was pretty much all I enjoyed. The characters themselves needed more work, as well as the romance. It’s a quick read and there are cute moments but a lot fell flat or went in directions that I felt could’ve been handled better. What’s a summer job you had during high school? • Almost every summer, I worked as my dad’s assistant at his job in Queens. He was an accountant (happily retired now) and my role was to input a lot of invoices, checks and such. He was really good at his job but a slow typer. I didn’t understand most of it but I typed super fast (always have). In other words, I was the perfect assistant!